Narrative works in both the narrative you bring to the text and the narrative in the text (the narrative the text creates) when talking hypertext (functional vs literary). Assertions underlying the “hypertext is good!” cheerleading are still in place today. These theories are one pivotal place where they formed. Hypertext theories help make meaning between connections in nodes; this gets at directionality, velocity, and movement (and prefigures rhetorical velocity). Pay attention to what/how/why there are observers of a network versus what/why/how something/one is moving through a network. The observer is/may be a subject with agency that is different than the subjects as nodes and/or moving with/in the network. Understanding these differences creates different ways of playing with text. We imagined, and need to make more explicit to some?, that the framework of class is to apply the major questions (syllabus, case study) upon the different readings. Not every theory will be ultra explicit and address every question; but that is OK.
NEW Question (we’ve added it to the case study list of questions): What is moving within the network? 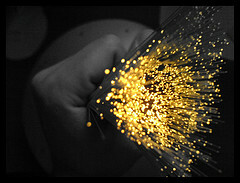 This entry on connectivity has a starting point here for your handy reference. Connectivity is at its core a discussion of how the actual connections between devices happen, in other words how does data get from A to B, C, D, E and back again? The groups of articles including some connections to things like High Speed Dial-up and the like, but this discussion will focus either on technologies that are present or are possible waves of the future. Ah, modems, without which you cannot connect to the internet unless you are somewhere that has a hardline (T1, T3) infrastructure. Modem is actually a contraction of the word “modulator-demodulator.” As you likely know, it sends data over phone, fiber optic, or cable lines. The modulator end of things codes the data into a signal that works with whatever line you are utilizing. The demodulator turns the signal back into data. Wireless signals do this in the form of radio signals. Early modems used gradual degradation to test phone lines and ratchet their speeds back a notice if the line couldn’t handle the faster speeds. ADSL (or asymmetric digital subscriber lines) became popular in 1999 and were asymmetric because they sent data faster in one direction, taking advantage of dedicated copper wires used by the phone company. Current modem technology used by our ISPs (internet service providers) send packets of information between you and your ISP using PPP (Point-to-Point Protocol). Perhaps the most oft used in the U.S. for broadband connectivity, the cable modem is available over your coaxial cable that brings you hundreds of channels with nothing to watch. The coaxial cable is capable of carrying far more megahertz of signals than your cable provider currently uses for providing you with television programing. Thus, the extra signal space can be used to transfer data packets. Often the wiring prior to your household wiring is fiber optic, increasing the amount of carrying capacity available (depending upon where you live or it might be coaxial all the way down). The signal being send (downstream if into your home device) and received (upstream send from your device) require a cable modem on your end and a Cable Modem Termination System (CMTS) on the ISP end. Much like the old school dial up modems, cable modems have modulators and demodulators internally to handle encoding and decoding duties. They also include a turner which splits tv signal from data signal; a MAC which handles the interface with hardware and software bits of the internet protocols for handling the signals, the MAC is often connected with or integrated with a Central Processing Unit (CPU) because the coding processes are relatively complex because of all of the splitting up of data, and finally there is the connection into the device (router or pc). How well your cable connection can provide data may depend upon how close you are to being the first user to connect through a particular assigned cable channel. Therefore, speeds may not be as advertised. optically pure glass that we talk about when we discuss cable or updated phone based connectivity. They are about a hair-width and are bundled by the hundreds or thousands. They have 3 basic parts – the core through which the light carrying the signal runs, the cladding which is an “outer optical (or mirror-like) material that reflects light back to the core, ” and a protective buffer coating.The fibers must be pure so that as the light bounces along between the core and the cladding, minimal degradation occurs. Fiber optic transmission systems include the transmitter (producer and sender of signals) the fiber itself, an optical regenerator (used to boost signals) and and optical receiver (which receives and decodes). Advantages of this system are lower cost, smaller size, higher carrying capacity and less signal degradation than wire, lower power needs, non-flammable, lightweight, and flexibility. 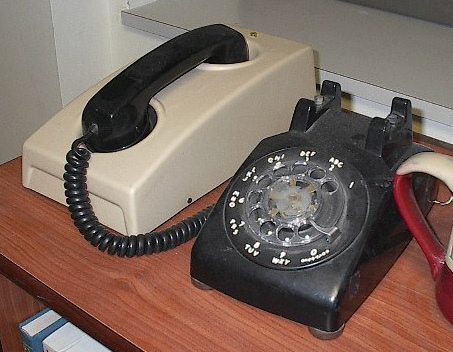 An option for those who live in rural areas who aren’t connected or have less than optimal connections to traditional communication infrastructures. It functions through a dish-to-dish broadcast. It is slower than either cable or fiberoptic connections. The satellite system sometimes requires you to have a modem to handle the coding work and like all satellite systems is susceptible to issues with signal loss due to poor weather conditions, improper placement, and interference from blocking structures. A more full description and history can be found here. This has a fascinating potential to reach far more people than fiber optic lines or cable lines because power lines are already a near-ubiquitous infrastructure already in place. Essentially using the same technologies power companies already use to monitor power grid function via radio frequencies, this technology would use similar frequencies to connect users to the internet. The frequencies would need to be shielded (as cable and fiberoptic lines are) because the fluctuating power current would cause disruptions. Developers claim that this has been dealt with. They have also created specialized silicon modems to separate out the data from the power current. Currently the technology is being vetted by the FCC, but both FEMA and ham radio operators have series questions about how this technology will be implemented. FEMA is working on a compromise with the FCC, but the ARRL (ham radio folks) believe that ham and shortwave radio will be greatly interfered with. So the technology is currently in bureaucratic limbo. Also fascinating reading is the link on How an Interplanetary Internet might work. Check it out. It could be our future. Why is this all so interesting? The above forms of physical hardware are the stuff of the interwebs. Without them data cannot be packaged, sent, and processed by our laptops, desktops, tablets, or phones. Understanding some of the basics also helps us ask questions about access. For example, the old 56.K baud modems that operated over phone lines were slow, granted, but as infrastructure they were significantly cheaper. Did they perpetuate greater access than expensive cable modems because they relied upon infrastructure that the U.S. Government helped put into place and backed decades ago? What are the possibilities of internet satellite? People who argue against net neutrality point to them as ways of creating greater access but the subscription price per month is higher than cable, which is costly, and the reliability is questioned by some. The choices we are able to make about modems, connection types, purchase/renting of hardware will affect our abilities to connect to the network. Brain, Marshall. “How Modems Work.” HowStuffWorks.com. <http://computer.howstuffworks.com/modem1.htm> 21 Jan 2014. Franklin, Curt. “How Cable Modems Work.” HowStuffWorks.com. <http://computer.howstuffworks.com/cable-modem.htm> 20 Jan 2014. “How does satellite Internet operate?.” HowStuffWorks.com <http://computer.howstuffworks.com/question606.htm> 20 Jan 2014.